Home > Managing Debt > Payment Protection Insurance on Your Debt: Can You Claim? Payment protection insurance is back in the news, with the big High Street banks being forced to set aside huge sums of money to settle claims. Thousands of borrowers may be able to claim against their lender or an insurance company over payment protection insurance. But what is it, and could you claim? Payment protection insurance (PPI) is designed to help ensure that you can continue to make repayments on your debt in the event that you cannot work – for example because you become ill. It is intended to provide some security for borrowers, providing them with a safety mechanism and peace of mind. But payment protection insurance has become one of the biggest consumer battlegrounds since the realisation that banks and other financial services firms had been selling policies that were, in many cases, worthless. Why might I be able to claim? Payment protection insurance has come under fire in the last couple of years, following the discovery of widespread mis-selling. It was alleged that lenders and insurance firms had systematically mis-sold the policies – sometimes in order to make otherwise unprofitable loans worth selling. The legal row over PPI was protracted. The banks initially denied the claims, suggesting that they had sold the policies in good faith. A legal challenge was mounted, which the banks lost. They then began an appeal – but subsequently abandoned this after it became clear that they would not win it. 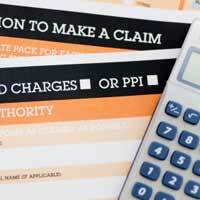 The major banks have now set aside billions of pounds with which to settle claims relating to mis-sold PPI policies. Lloyds Banking Group is likely to have the biggest bill. The bank expects that claims will cost it some £3.2 billion – more than the next three biggest banks put together. In which circumstances can I claim? There is a range of circumstances in which you might be able to make a claim. These can broadly be split into two categories: the cover isn’t suitable for you, or it was sold in an unsuitable way. The first category most commonly includes cases that involve existing medical conditions, self-employment, or retirement. For example, if your policy includes unemployment cover and you were either retired or unemployed at the time you took out the cover, it is almost certainly unsuitable. Additionally, most policies were not suitable for self-employed people. If you were self-employed when you took it out, check the wording. If you had a pre-existing medical condition when you took the policy, you may also have a claim. If you were not asked about your condition, or if your policy excludes existing medical conditions, you might well be able to claim. The second category includes cases in which borrowers didn’t know they had PPI at all. If you didn’t know that you had taken out the insurance, you may very well have a claim. Additionally, if you had to un-tick a box (or opt out in some other way) in order to indicate that you did not want the policy, you might have grounds. This was relatively common prior to July 2007. You may also have been given incorrect or incomplete information when you took the policy. For example, if the term of the insurance is shorter than the term of the loan, or if you were covered through a separate insurance policy held by your partner, then you may be able to claim. I’ve had a letter from my bank. What do I do? The banks are particularly irritated by the fact that they have been told to write to policyholders who may have a claim, in order to make them aware of the situation. In reality, the letters seem to frequently confuse the situation further. Halifax, for example, have dedicated a big chunk of their letter to making clear that insurance claims will be honoured even if the policyholder would not previously have been able to claim. Instead, some believe that the banks should have focused on providing comprehensive information on how policyholders can get their money back. If you think you might have a claim, you should contact your bank or insurance provider as a matter of urgency. Most have now set up dedicated phone helplines to deal with claims – but you may find it easier to write. The Financial Ombudsman Service has put together a form for this purpose, which you can fill in and send to the business in question. It requires you to provide a range of information – although you may need to contact your bank or insurer before filling it in, for example if you can’t remember when you took out the policy or how it was sold to you. If you are in any doubt about payment protection insurance or other financial issues, you should seek independent advice. Free help is available from your local Citizens Advice Bureau.